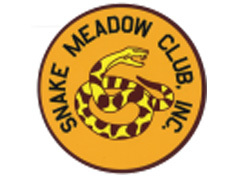 3D Archery at Snake Meadow Club offers a wide variety of targets, terrain and challenging shots. Consisting of 30 targets and nearly 3 miles, the 3D Archery course covers much of the SMC property. Clearly marked and groomed trails guide the shooter to such experiences as over water shots at alligator targets and across field shots at trophy elk. Members may shoot the course at any time. Hone your skills on our new permanent archery practice range with targets at 10, 20, 30, and 40 yards! Fee: $10.00 Adults, kids 12 and under shoot free. Sign in @ 7am – 12 pm. Score cards handed in by 2 pm. Contact Nate at nate.kight@yahoo.com for any questions.